Maestro Stephen Osmond’s triumphal 40 years as music director of the Jackson Symphony Orchestra set a high standard as one of the longest tenures for any conductor in the history of American orchestras. 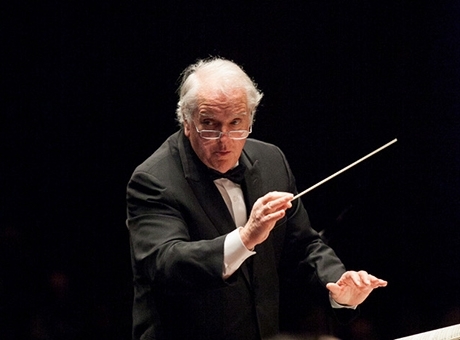 Over four decades, his leadership was consistently distinguished by musical excellence for the orchestra and forward-thinking vision for its programs and facilities. Maestro Osmond followed a rich and varied path to Jackson, including hundreds of performances from France to China to cities all over the United States. Growing up on the North Shore of Chicago, he attended New Trier High School and had leading roles in musical theater productions there. During his undergraduate education at Northwestern University, Osmond conducted musicals and participated in summer conducting workshops with Robert Shaw. While completing his Master’s Degree in music at Yale, he directed or performed with talented fellow students including Meryl Streep and Sigourney Weaver, as well as renowned professionals such as Kurt Kasznar and Carmen de Lavallade. His mentors included three of the five principal European emigres who brought their traditions to America in the second half of the Twentieth Century: Gustav Meier, Otto-Werner Mueller, and Herman Genhart. Early in his professional career, Maestro Osmond established himself as a creative programmer who engages orchestras and audiences alike in music from all eras, but especially the Twentieth Century. His collaborations with Louis Magor, Gustav Meier and Michael Tilson Thomas led to the creation of Westboro Music Festival near San Francisco. In the Chicago area, he was the founder and first director of the North Shore Theatre Company. Maestro Osmond was also a guest conductor for orchestras in the Midwest and on both coasts, including the Amadeaus Chamber Orchestra, the Albany Symphony, and the Westboro Festival Orchestra. He held professorships at SUNY Albany and the University of Michigan. 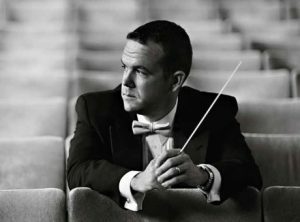 At Michigan, he was conductor and music director of the University Philharmonia Orchestra and Contemporary Directions Ensemble, with performances at venues including New York’s Carnegie Recital Hall. He became music director of the Jackson Symphony Orchestra in 1977 and held that post until retiring 2017. Guided by Maestro Osmond’s artistry, professionalism, and passion, the JSO reached artistic and educational goals that were transformative. Under his leadership, a valued and respected amateur community orchestra developed into one of the finest regional orchestras in the Midwest. Artistic highlights of his JSO tenure include the establishment of several opera and ballet ventures. Ballets were collaborations with established companies from Indianapolis and Grand Rapids, while opera productions were home grown in Jackson. Maestro Osmond became widely known for deeply moving performances of great classical repertory, and entertaining performances on pops stages. Reviews from New York Times, Detroit News, Albany Knickerbocker News, Lansing State Journal, and Jackson Citizen Patriot praised his performances for energy, style, and magnetic podium demeanor. Maestro Osmond decided that if he wanted the Jackson community to support his orchestra, he should support the community. He served on six boards of directors, including eight years on the local school board (seven as either president or vice president), and five years with the Chamber of Commerce. Thanks to Maestro Osmond’s firm conviction that education is critical for the future of classical music, particularly orchestral music, in 1992 the Jackson Symphony Orchestra became one of the first community orchestras in the country to establish a Community Music School. He was an early creator of other educational programs including the Pied Piper program, String Teams, The Family Music Fair, the Community String Ensemble, Back Stage Glimpses, and various lecture series. As executive director as well as music director of the JSO, Maestro Osmond demonstrated management expertise best exemplified by 38 years without a single budget deficit. Twice he led successful fund drives to create a beautiful headquarters for the JSO, a space Maestro Osmond helped to design. Raising more than $4 million, the orchestra renovated a former downtown store structure to provide rehearsal and performance space for the orchestra, as well as offices and classrooms for its programs and for other Jackson performing arts groups. Orchestras in communities 20 times the size of Jackson have nothing comparable to the JSO building. More information about Maestro’s Stephen Osmond’s achievements with the Jackson Symphony Orchestra is available in the booklet “The Osmond Years,” available by clicking here.